Now you can get your very own portrait — hand-drawn and digitally colored by Josh Pincus. 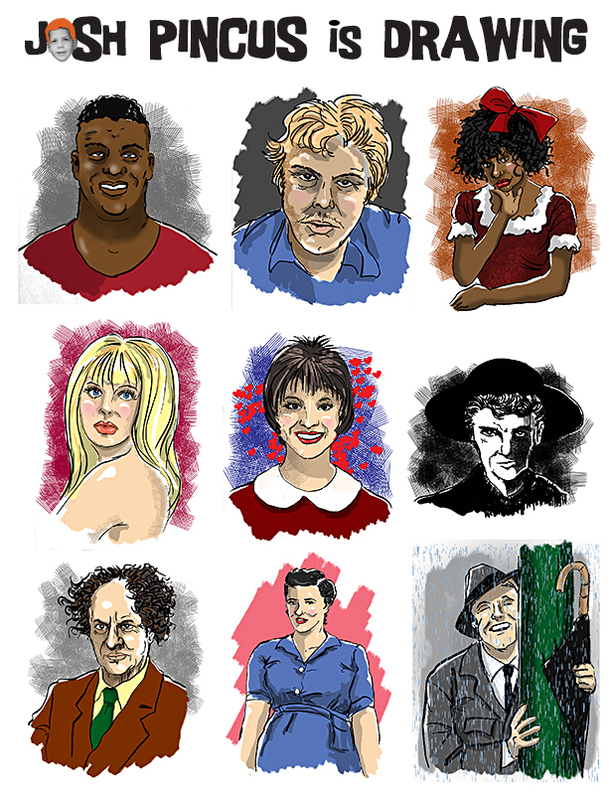 As seen throughout my website, these stylish and unique portraits had previously been reserved for a select group of famous, nearly-famous and unsung characters with interesting stories. But now, I am making them available to you for the first time ever! Just supply a photo of yourself, your mom or dad, your spouse or anyone you’d like rendered in Josh Pincus’ inimitable style. You will receive a high-resolution, 8″ x 10″ PDF that you can take to any professional printer, online service provider or use your own home printer. These one-of-a-kind pieces of personal art are available for a reasonable cost of $75.00 each. Email me HERE for details, questions and payment arrangements.